Nearly every house on my block in lower Wallingford sports a fruit tree of historic age, reportedly hearkening back to a time when our section of Wallingford was an orchard. Our home’s tree of advanced age is a pear tree, which rises more than 30 feet into the air and drops thousands of pears each year. [And that’s truth, not hyperbole. One year I picked up 3000 pears]. Each August when the pears start dropping, I think to myself how great it would be if I knew more about this tree and its care. Luckily, the Meridian Park Orchard Stewards are coming to the rescue with just such a workshop which will be held this Saturday, July 28, from 9:30AM – 2:00PM at Seattle Tilth’s Learning Garden at the Good Shepherd. 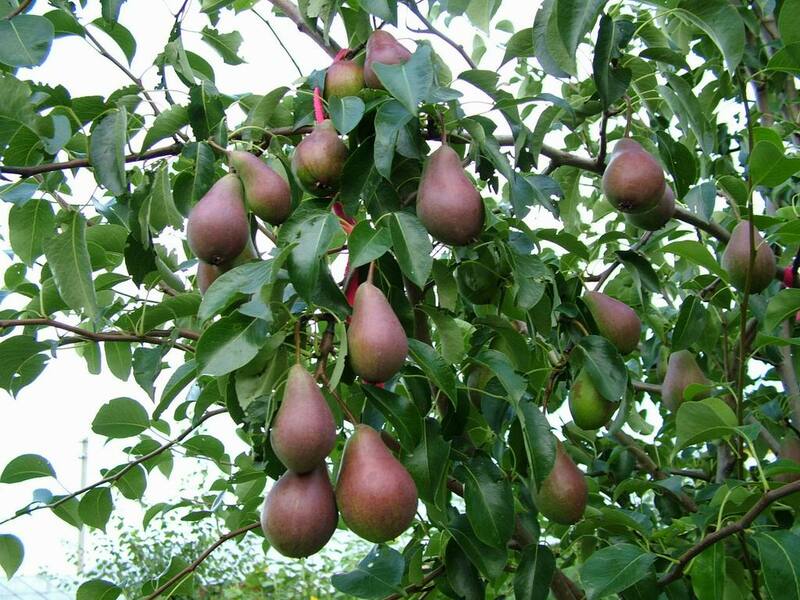 If you have fruit trees that you’d like to know more about, then you should join the fun too! The Meridian Park Orchard Stewards, in cooperation with Seattle Parks, City Fruit and Seattle Tilth, will hold a workshop on Heritage Orchard Renovation at the Seattle Tilth Good Shepherd Center Community Learning Garden and the adjoining Meridian Park. The workshop will focus on general fruit tree biology and summer pruning techniques demonstrated on the dwarf trees in the Learning Garden. There will be an afternoon discussion of mature fruit tree restoration techniques and light summer pruning in the 100-year-old orchard. All those interested in supporting the Meridian Park Orchard Stewards are invited. Bring a sack lunch; drinks will be provided. This workshop is offered free of charge and is sponsored by Seattle Parks and Recreation in partnership with Seattle Tilth, City Fruit and the Meridian Park Orchard Stewards. Pre-registration is required. By the way, if anyone knows whether the reports of the mythical Wallingford orchard are true, I’d love to hear about it! I found this very detailed account of Wallingford’s history, which (on page 30 of the pdf) alludes to Wallingford at the turn of the 20th century as having been primarily four farms. However, orchards are not specifically mentioned. Missing your Hyundai owner’s manual? Kimberly, what a great article would love to make this. I wasn’t aware of the history of farms, just assumed like so much of Seattle, it was timber around that time. Thank you for including the link as well to the detailed history of Fremont, Greenlake, Latona and Wallinford. Love hearing about how much our great city has changed through the years. I’ve heard the story on the orchards of early Wallingford, in connection with the big cherries around here in the southwest quadrant. Only stumps now. This is very cool…thanks for posting it! And, a question: are there programs in place to donate unneeded fruit to local food banks? If so, I’d be especially interested to also know if help is needed at harvest-time to pick, package, and assist with delivery. You can also find out more info with City Fruit (http://cityfruit.org/) they harvest fruit off of trees in Seattle and donate it to local food banks. I would also love to take some of your fruit off your hands! I’ll follow up with City Fruit to see if I can help out there. Thanks for your info! City Fruit and Lettuce link share the reponsibility of harvesting and distributing surplus fruit in Seattle. They have divided up the city neighborhood-wise as far as which organization handles which neighborhood. If you live in Wallingford or one of the neighborhoods in the next paragraph, and want to help pick or deliver surplus fruit, contact Amanda Lee at Lettuce Link. I am still recruiting an outreach team and Harvest Leaders for NE Seattle, Fremont, Montlake, Madison Park/Valley, Queen Anne and Magnolia. If you live in any of these neighborhoods, all you would do for outreach is post fliers in high traffic areas like cafes, community centers, etc. Got friends who might be interested in volunteering? Have them email me a volunteer application. Lastly, if you haven’t already, please RSVP to one of the Season Kick-Off Meet & Greets! They will take place Tuesday the 31st at the Blue Star Café & Pub (Wallingford) & Wednesday, August 1st at *new location* Linda’s Tavern (Capitol Hill), 5:30-7pm. The lovely pears in the photo above are not, alas, from Kimberly’s tree. She has an Asian pear tree with scab, a fungal disease common on this side of the mountains. Scab can be minimized with good fruit tree hygiene (pick up fallen fruit) but can best be avoided by planting trees that are scab-resistant. If anyone really wants to learn how to take care of fruit trees, a great way is to volunteer with one of the urban orchard steward groups. We have two (now) in Wallingford: Burke-Gilman Trail Urban Orchard Stewards and the new Meridian Park stewards. In fact, if you want to learn how to thin apples, the Burke-Gilman stewards will be thinning some apple trees near the University Bridge this Sunday (the 29th) at 9 AM.